AWESOME!! 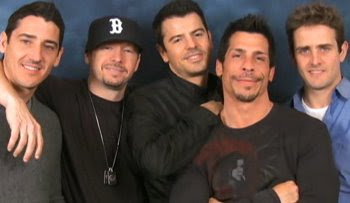 DONNIE IS LOOKING HOTTER AND HOTTER EVERY DAY!! HE HAS SUCH BEAUTIFUL HANDS!! Holy Expensive!!!! I really hope the guys are not just in it for the money, I've always believed that it was for the fans,but the merch and cost of things associated with them keeps growing and growing, it concerns me.